The Hyco Handyflow Slimline Vented Under Sink Water Heater comes as a highly cost effective package which includes a vented mixer tap. 5L Capacity. Complete with vented tap and hose. External temperature control. 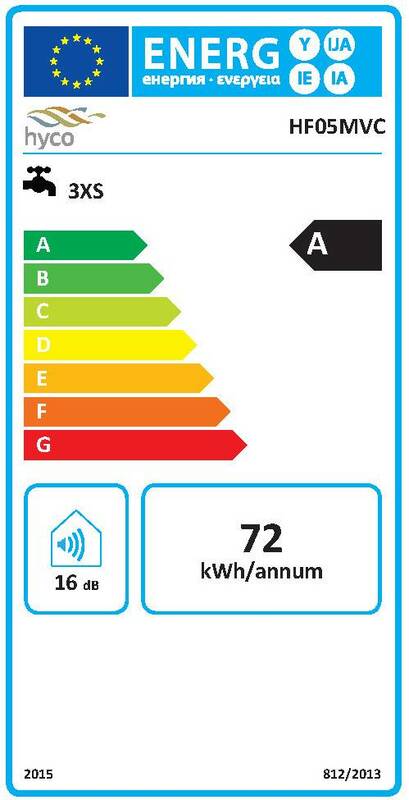 2kW element. White corrosion proof case. Safety re-settable thermal cut out. Wall bracket included for fast installation. Suitable for single outlet only. Vented water heaters are often considered to be an attractive option for serving sinks because installation is so simple. 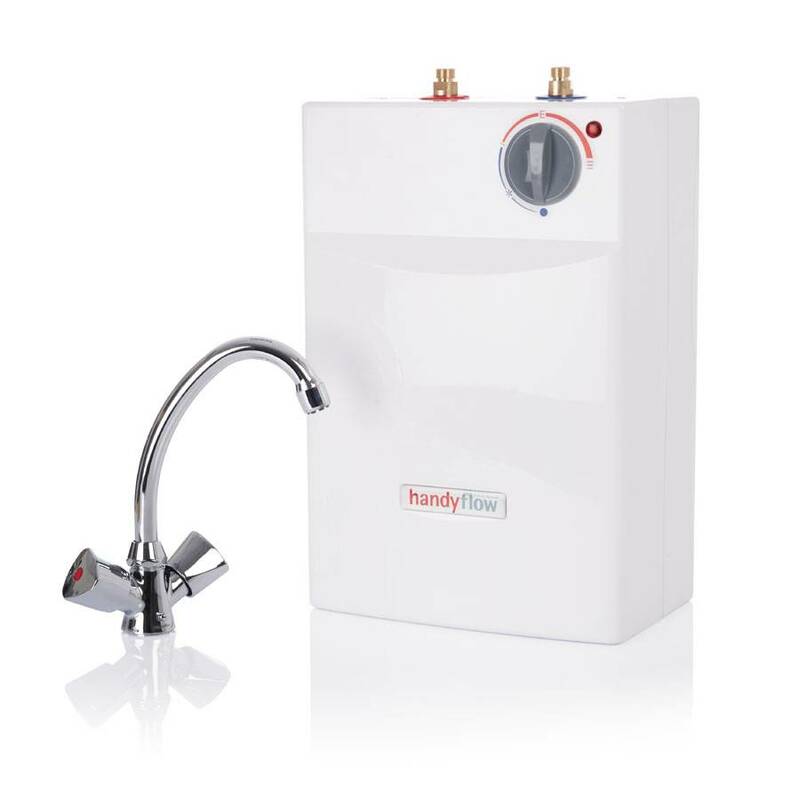 All that is required is a cold water supply and an electrical connection -- there is not need for cold water accessories such as expansion vessels, pressure reduction valves, pressure relief valves that are normally associated with the alternative unvented mains pressure type of water heater. The disadvantage of undersink vented units is that specialist vented taps are required for undersink installation. These vented taps can often be as costly to purchase as the water heater itself. 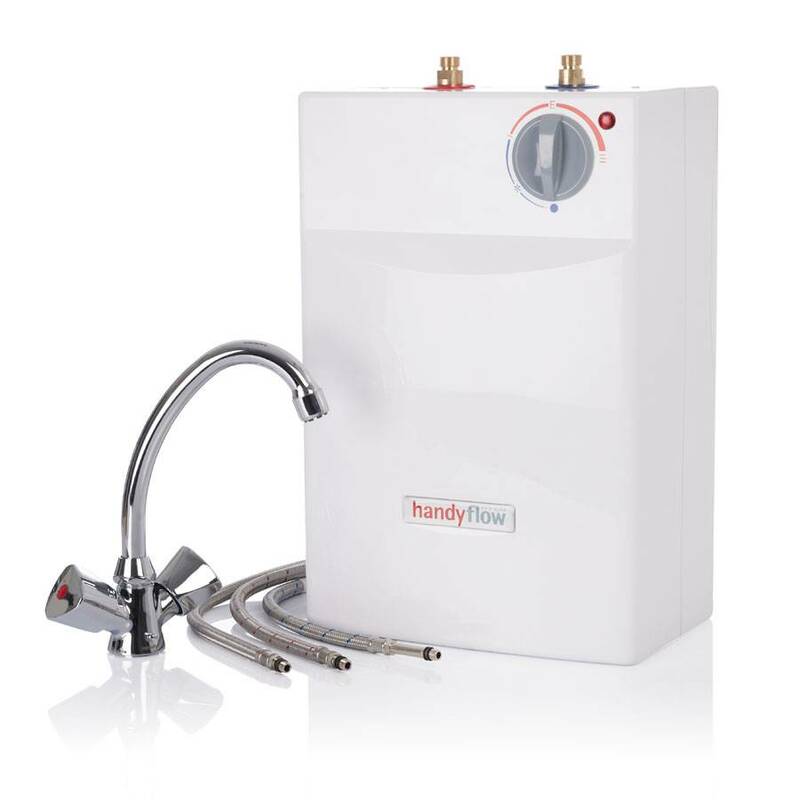 The Hyco Handyflow Slimline Vented Under Sink Water Heater comes as a highly cost effective package which includes both an undersink vented water heater and a vented mixer tap, combining the benefits of simple installation and a highly competive price. Please note that it is normal for all vented hot water heaters to drip slightly from the tap during the heating cycle. This is caused by the natural expansion of water.